Feminine with an edge, Hayley Paige bridal gowns are fresh, lively and confident. Ever so eclectic, the designs capture a romantic and charming aesthetic that balances inner ingénue and sophistication. 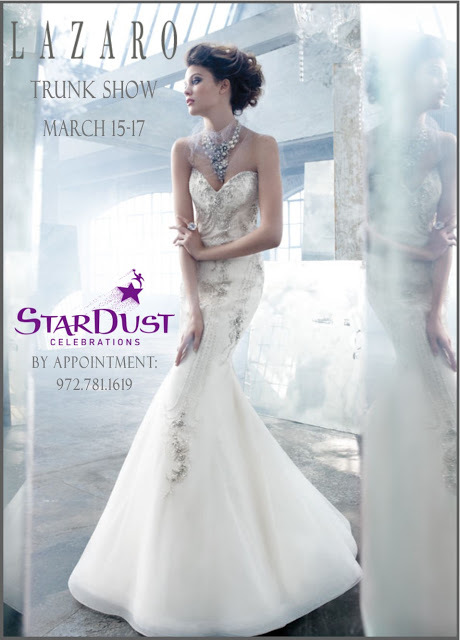 Schedule your appointment during Stardust’s trunk show for the Spring 2013 bridal collection from Hayley Paige. 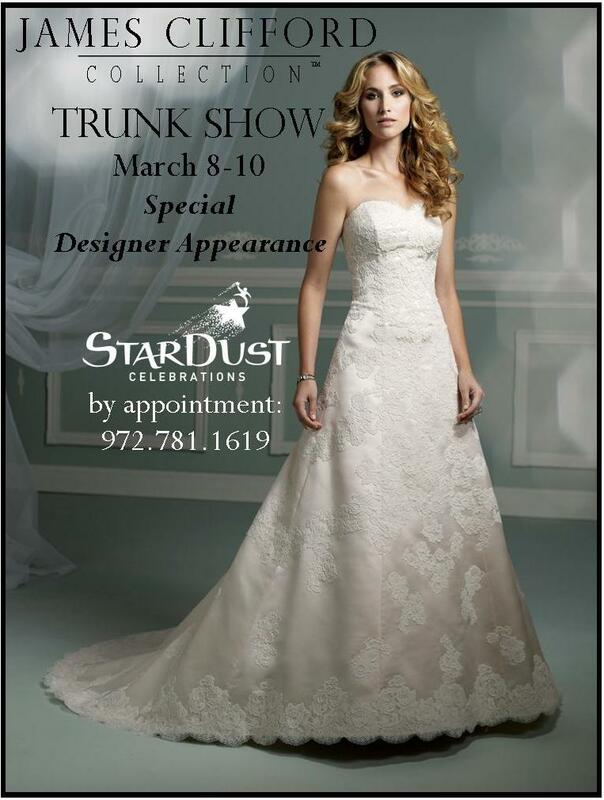 Brides ordering during this special event will enjoy a discount! Call today: 972.781.1619. Come see why there is always great buzz surrounding the incomparable Lazaro. 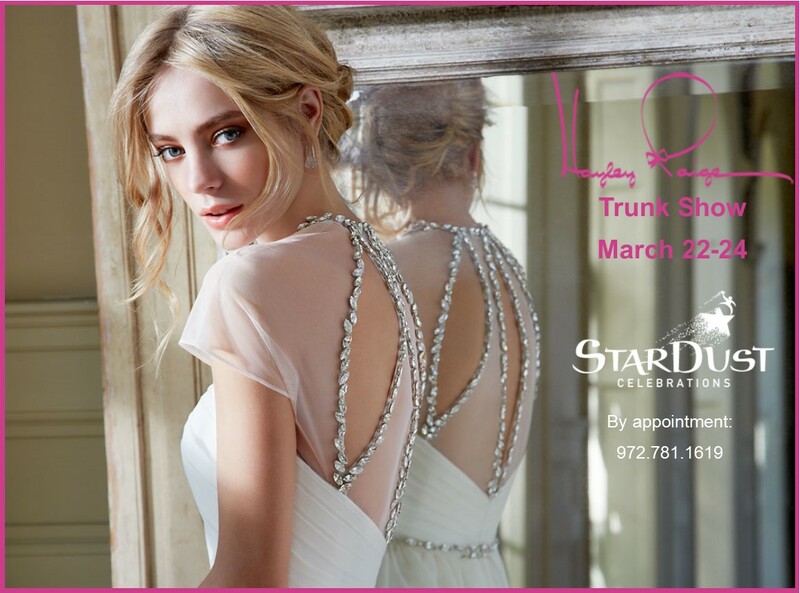 Call now to schedule your appointment during our Lazaro trunk show this weekend at Stardust Bridal Salon. 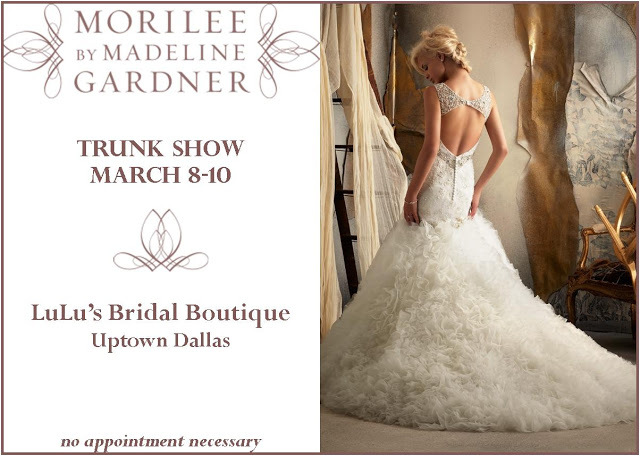 We will be showcasing the designer’s fabulous Spring 2013 bridal collection. Appointments can be made at 972.781.1619. We just love the Spring, when bright colors get dusted off and incorporated into wedding design! 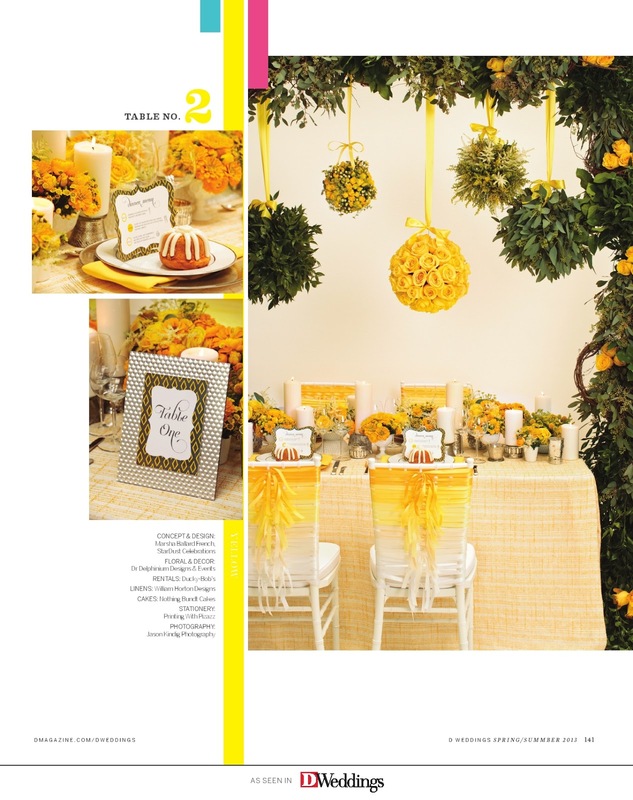 We had so much fun planning this Spring-inspired tablescape for the current issue of D Weddings. This lovely table was designed by our own Marsha Ballard French, CMWP, who took her cue from one of the season’s hottest hues. The results are whimsical and joyful – just looking at it makes us happy! 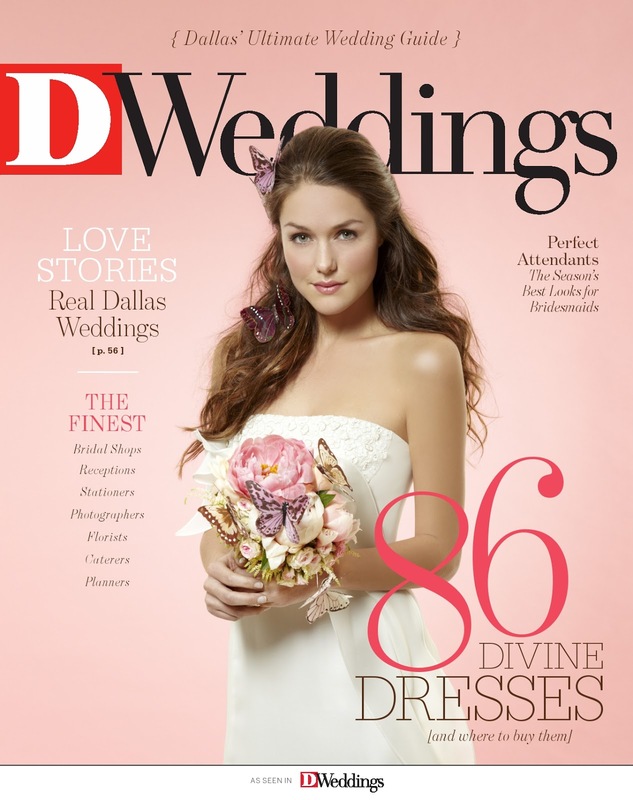 We hope it lifts your spirits, as well, and inspires your wedding planning and creativity! Talk about icing on the cake! 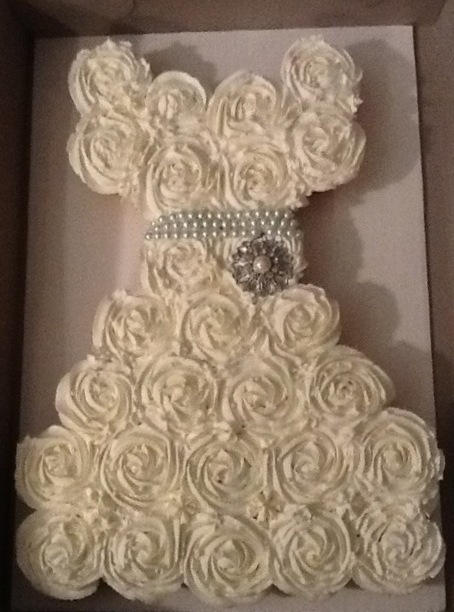 Check out this darling pull-apart cupcake cake in the shape of a bridal gown. So cute and perfect for a bridal shower or maybe your luncheon! This cupcake creation could be a fun and easy DIY project, too! Love the brooch detail.